Edmonton playwright and poet Neamat Imam is a native of Bangladesh, a country that has had a much more fractious recent history than that of his adopted home. Following ruthless and savage attempts on the part of Pakistan to suppress a Bengali nationalist uprising in 1971, the nation achieved independence under its new leader, Sheikh Mujibur Rahman, generally regarded as the father of modern Bangladesh. Imam’s debut novel, which has already caused controversy in his native country, views the legacy of Sheikh Mujib in somewhat different terms. As the novel opens, Khaleque Biswas, a journalist with the radical newspaper The Freedom Fighter, is fired for his uncompromising and critical views. When a young man named Nur Hussain appears on Biswas’s doorstep looking for work, the journalist recognizes in the youth a resemblance to the country’s leader. Providing Nur Hussain a new haircut and outfitting him with a pair of spectacles, a pipe, and the iconic sleeveless black coat that serves as Sheikh Mujib’s emblem, Biswas takes his young charge out into the public square. There, he has him declaim the politician’s historic speech of March 7, 1971, calling for the people to rise up in a united struggle for freedom and independence. The crowds, stirred to nationalist passion by the recitation, reward Nur Hussain with donations of money, and a lucrative business is born. From this premise, Imam crafts a narrative that is alternately absurd, angry, and sardonic, but never less than fully engaged with Bangladesh’s painful history. 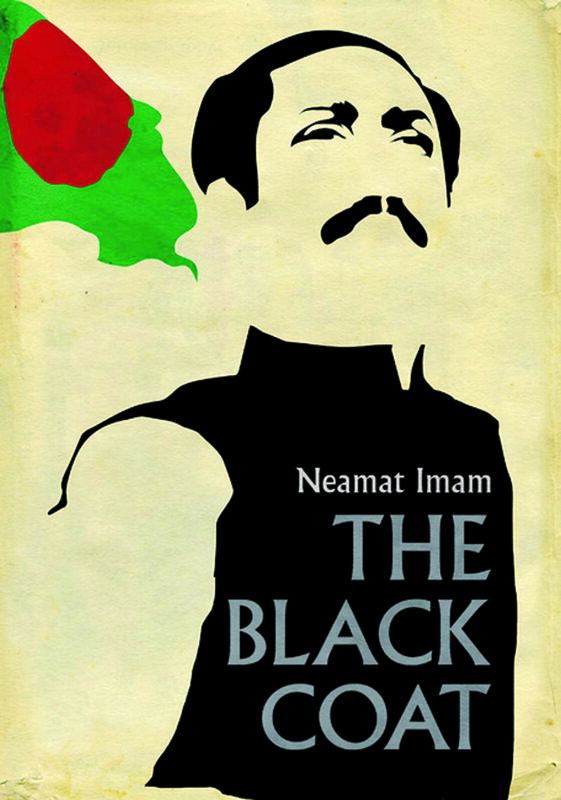 As the notorious famine of 1974 settles in, operatives in Sheikh Mujib’s government realize they can utilize Nur Hussain to drum up support for their own purposes; this pleases Biswas, but the scheme starts to unravel when Nur Hussain develops political ideals of his own and begins to publicly decry his government bosses. Imam handles the cascading levels of irony with a deft hand and a light touch, and studiously avoids didacticism or speechifying. The story is narrated in the first-person by Biswas – a man almost entirely self-absorbed and willing to shift allegiences at any point if he thinks it to his advantage. He is the very model of an unreliable narrator, while also providing Imam with plentiful opportunities to interrogate ideas about the corrupting influence of power and the stultifying effects of a cult of personality on the populace that falls under its sway. “When men become too powerful,” says Abdul Ali, the personal assistant to Moina Mia, a member of parliament in Sheikh Mujib’s government, “God stops thinking.” The comment is made in the context of a scene in which a man who is among the country’s starving masses has been arrested after stealing a bag of screws from a construction site and eating them. “I needed something heavy in my stomach, heavier than regular rice and egg and potato and milk,” the man says by way of explanation. “I did not want to go to bed only to wake up a hungry man in the morning.” In the topsy-turvy world of Imam’s novel, this logic makes a bizarre kind of sense.